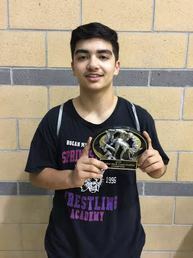 Twenty-Eight Springstowne Wrestlers scored gold medals at the 20th Annual Vallejo City Championships to lead the Wildcats to their 16th straight City title. 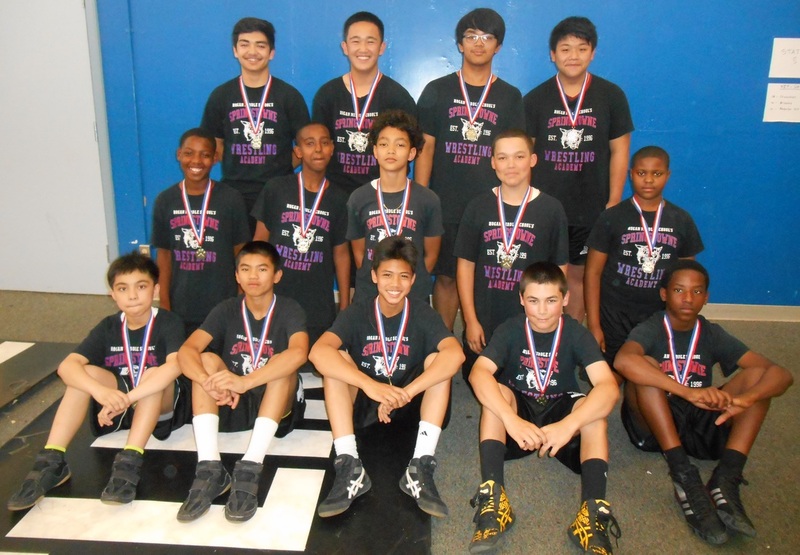 The Wildcats boys won 12 of 13 weight classes as Arnold San Pedro, Gerell Castro, Mark Ryan Jimenez-Diolanto, Stefan Foley, Adonis Batts, Elijah Batts, Kobe Auzenne, Mikey Reagan, Jahon Williams, Diego Barba, Marc Deguzman, Tommy Vo and Jonah Arnold won their respective weight classes. 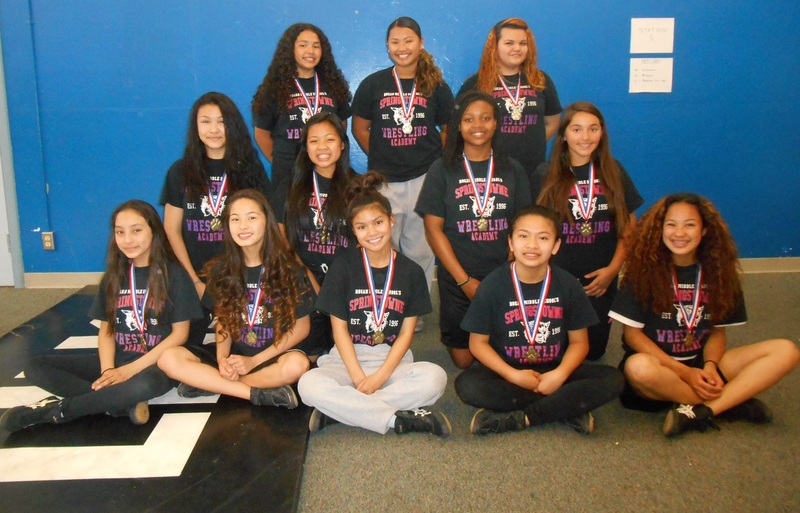 The Lady Wildcats made it a clean sweep in the 16 girls weight classes as Arianna Perez, Esmeralda Morales, Trinity~Jade Castillo-Holloway, Samantha Dollete, Kiara Valle, Angela Abuda, Chentelle Wise, Leika Lopez, Angel Mendoza, Marcelina Valmonte, Leslie Uribe, Mililani Rose Jimenez-Diolanto, Gillian Lozano, Tori Winston, Caesha Gemo and Thema Simmons all won individual City Championship gold medals. 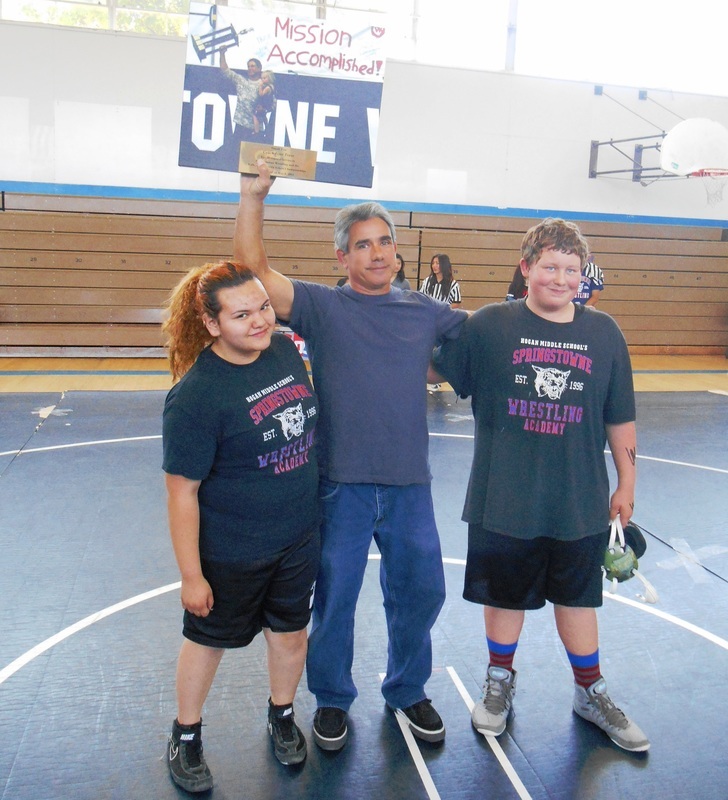 Since 1996 Coach has been a part of Vallejo City Middle School wrestling, which has served thousands of wrestlers from not only from the HMS-Springstowne Academy, but Franklin, Solano, MIT and the defunct Vallejo Middle School as well. Winning "Golden Paws" at the Springstowne Academy Championships in the boys division were Arnold San Pedro, Gerell Castro, Mark Ryan Jimenez-Diolanto, Stefan Foley, Adonis Batts, Elijah Batts, Ahmed Mohamed, Kobe Auzenne, Mikey Reagan, Jahon Williams Diego Barba, CJ Fernandez, Marc Deguzman and Tommy Vo. 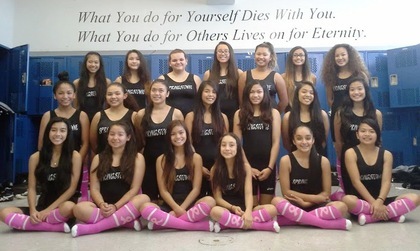 For the Lady Wildcats Esmeralda Morales, Trinity~Jade Castillo-Holloway, Lillian Parungao, Carmille Lobusta, Chentelle Wise, Marcelina Valmonte, Mililani Rose Jimenez-Diolanto, Tori Winston, Alexis Gomez, Alexis Drum, Caesha Gemo and Genesis Borja scored "Golden Paws"
Our Wildcats met the White Hill Wildcats from Marin in the 1st ever meeting between the two squads. Springstowne fielded its 1st and 2nd year wrestlers, almost all who return in 2016, as it was White Hill's 1st meet of the year. 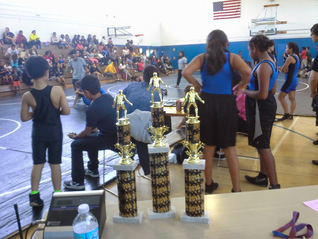 The Academy got strong wins in the girls division from Esmeralda Morales, Trinity Jade Castillo-Holloway, Maria Huang, Fatima Maloa and Angelene Lacsa, while the boys tallied a number of wins including 1st round pins from Arnold San Pedro, Stefan Foley, Gerell Castro, Marc Deguzman, Jahon Williams and Miguel Morales. 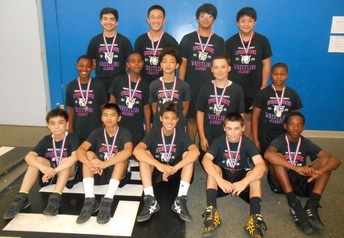 Forty-Three Springstowne Academy Wrestlers earned medals from the 18th Annual National Championship event, which came back to American Canyon for the 2nd Year. 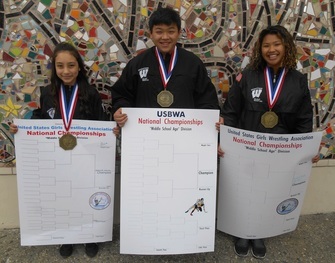 Tommy Vo, Caesha Gemo and Esmeralda Morales scored the highest finishes for the squad as the trio each won gold medals in their weight classes. 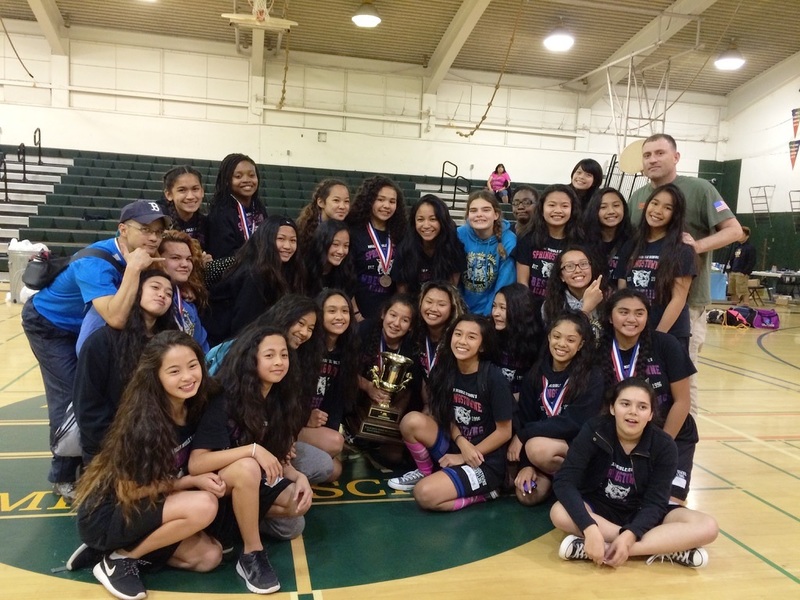 The California Golden Cup is headed back to Vallejo after the Lady Wildcats won the 2015 California Girls Middle School State Wrestling Championship at Silverado Middle School in Napa. 45 Lady Wildcats banded together to fend off 2nd place Creekside-Castro Valley and 3rd place East Peninsula-Palo Alto. The Academy wrestlers were led by Caesha Gemo who scored a gold medal over fellow Lady Wildcat Thema Simmons in the finals and Genesis Borja and Meriel Ferrer who both tallied silver medals. Birthday Girl Leslie Uribe made it a birthday to remember pitching in a bronze medal along with Chentelle Wise. Rounding out the medal charge were Alexis Drum-4th, Tori Winston-4th, Arianna Perez-5th, Elysia Tulabut-5th and Malia Darlucio-6th. 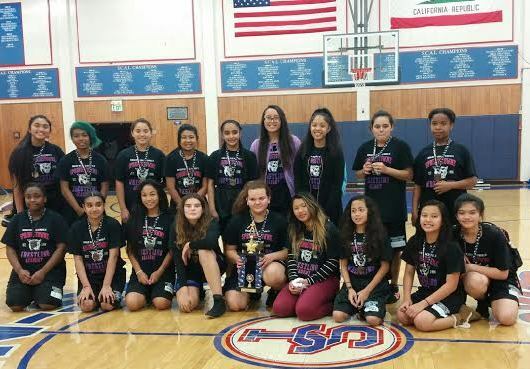 This victory made it the Lady Wildcats 9th overall California State Championship!!! Wrestle4Hope III was chocked full of Springstowne flavor as 35 Lady Wildcats took to the mat to takedown breast cancer. The day began with Springstowne Alum Ricki Liang receiving Wrestle4Hope's "Kent Bailo Ambassador of Girls Wrestling " Award, followed by our Mary-landers singing of the National anthem. 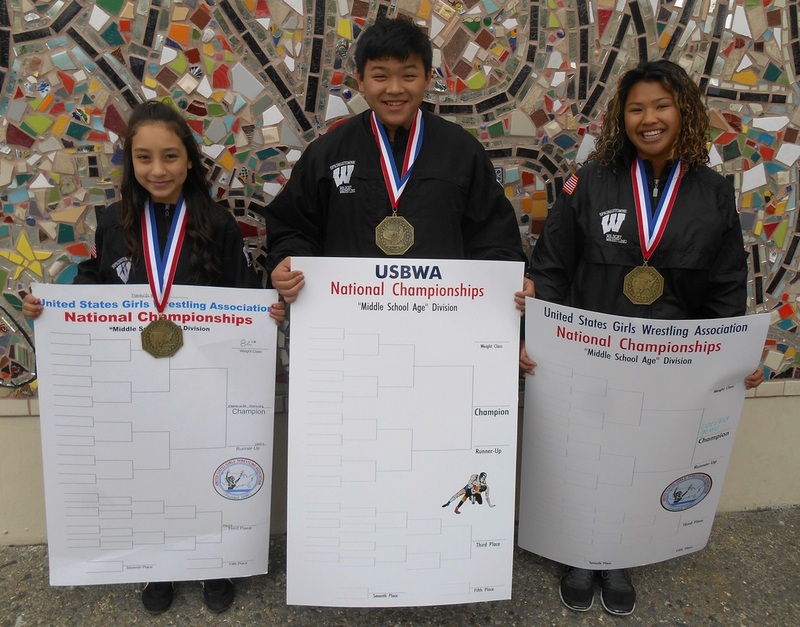 Chentelle Wise, Genesis Borja and Therese Gatchalian earned gold medal finishes at the 16th Annual USGWA Nor-Cals to lead a medal charge that included 39 other Lady Wildcats who brought home 2nd-4th place medals, while the aforementioned Tommy Vo scored an 8th place finish at the 47th Annual Northern California TOC. 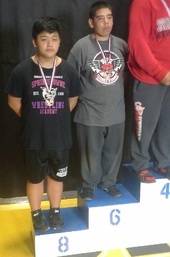 Tommy Vo made the medal stand at the 47th Annual Northern California Tournament of Champions in Loomis. Vo's 8th place finish placed him in an elite group, as he became only the 5th Springstowne Wildcat to medal at TOC and the 1st to do so since Jarelle Ventura placed in 2009. Vo competed alongside fellow Wildcats Jonah Arnold, Mark Ryan Jimenez-Diolanto and Diego Barba, who all put forth their best efforts at TOC. Our Springstowne Wildcat Academy wrestlers met up with the Napa SAL and Bancroft Broncos for the 6th Annual Hoang Van Thu Classic. The goodwill event held in memory of Vietnam Veteran James P. Guiducci, helps support education in Viet Nam while honoring our American Veterans who served there. Special thanks to the 60 plus wrestlers and supporters who attended the team dinner at LV Vietnamese Restaurant following the event. Extra Special thanks to the Vo Family for putting on an amazing celebration!!!! 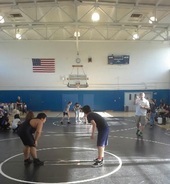 A handful of wrestlers made their presence felt with 2 and 0 marks at our annual scrimmage vs our close friendly rivals Bancroft-San Leandro and the Napa SAL. 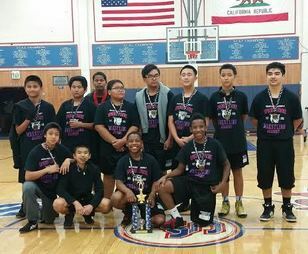 Deja Hizon, Marc Deguzman, Thomas Manibusan and the Batts brothers, Adonis and Elijah were perfect on the day. 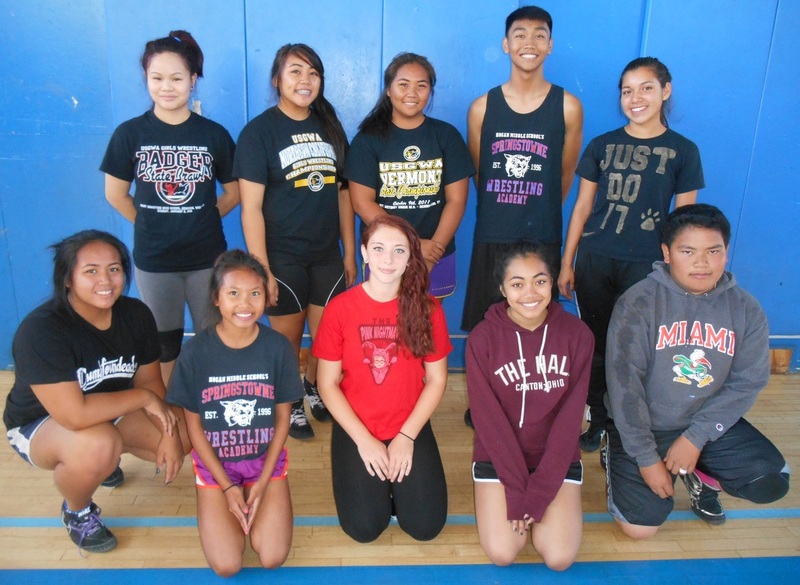 Devya Bharti and Precious Bautista also scored noteworthy decisions, while Neylan Green, Mililani Jimenez-Diolanto, Trinity~Jade Castillo Holloway and Simran Kumar tallied rapid 1st round pins! Diego Barba led the charge placing 1st in the Varsity TOC qualifier, while a bevy of Lady Wildcats scored medals in the girls division. 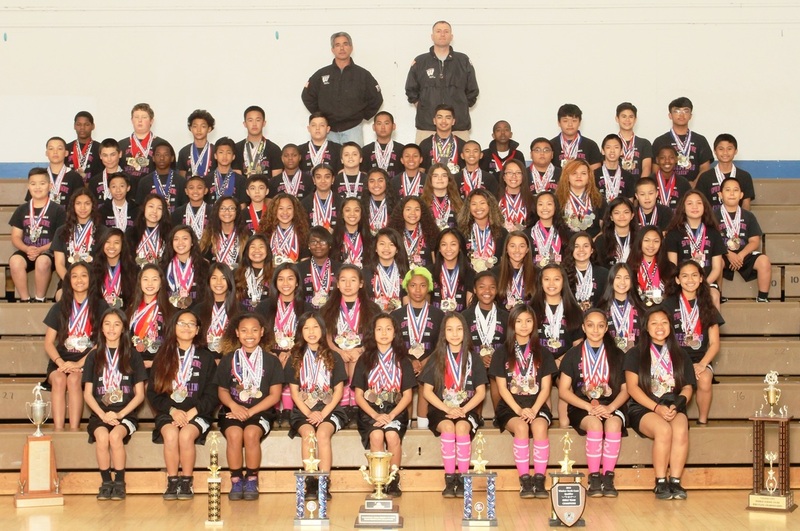 Genesis Borja, Alexis Drum and Chentelle Wise led the way with gold medal finishes. Silver medals were chipped in by Samantha Dollete, Caesha Gemo, Esmeralda Morales, Lily Parungao, Elysia Tulabut, Leslie Uribe, Marcelina Valmonte and Tori Winston. Ashley Cajina, Yvonne Cruz and Arianna Perez rounded out the medal charge with bronze medals. 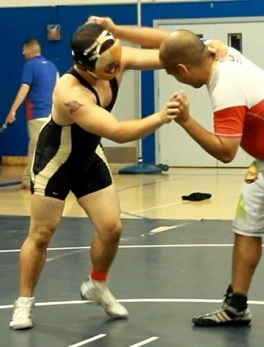 The Springstowne Academy had one of their better showings in recent memory at the Solano County Clash in Vacaville. Wildcat boys Diego Barba, Tommy Vo, Mark Ryan Jimenez-Diolanto and Jonah Arnold all scored top 2 finishes to qualify for the Northern California TOC. 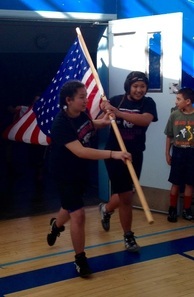 Both Barba and Vo pinned all their opponents en route to Gold medals. Arnold lost in the finals to teammate Vo, while Jimenez-Diolanto rallied from a pig tail loss to win 5 straight matches including a 7-5 overtime victory in the True 2nd match to qualify. 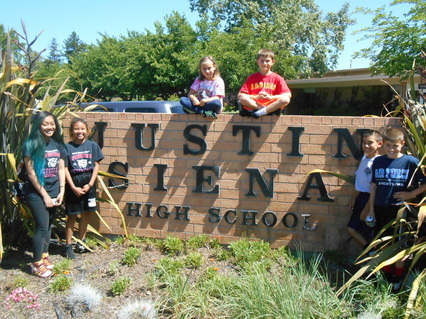 The stellar performance came on the heels of the Lady Wildcats 7th consecutive Solano County Girls Championships title. Our girls scored 125 points to finish ahead of Benicia(36), Colt WC(20), Vaca Pena(16) and the Napa SAL. 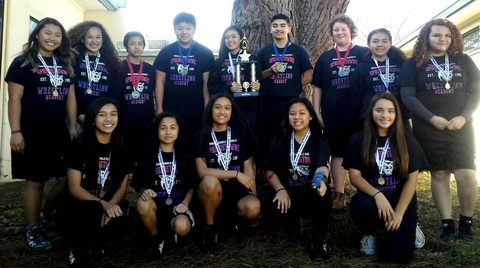 The Academy was led by Solano County Champions Arianna Perez, Kiara Valle, Angela Abuda, Chentelle Wise, Elisabeth Franco, Mililani Rose Jimenez-Diolanto, Alexis Gomez, Leslie Uribe, Alexis Drum, Caesha Gemo and Genesis Borja. 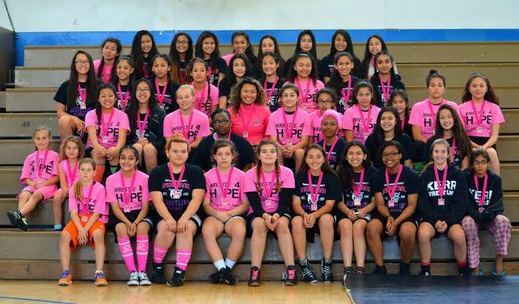 Wrestle4Hope All-American Girls Wrestling Classic. The Springstowne Wildcat Wrestling Academy wrestled well en route to taking home the historic Stanley Trophy from the Winter League Wrestling Championships on Sunday. 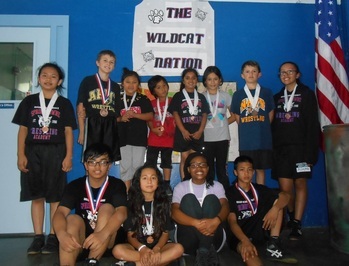 The Wildcats were led by gold medal winners Mark Ryan Jimenez-Diolanto, Adonis Batts, Kobe Auzenne, Diego Barba, Tommy Vo, Esmeralda Morales, Trinity~Jade Castillo-Holloway, Kiara Valle, Kaitlin Cuevas, Chentelle Wise, Yvonne Cruz, Rylee Cruz-Smith, Marcelina Valmonte, Alexis Gomez, Tori Winston, Alexis Drum, Meriel Ferrer and Genesis Borja. Both the Springstowne Academy boys and girls took home the team trophy from the Ben and Jerry's Roger Bubel Classic in Napa. 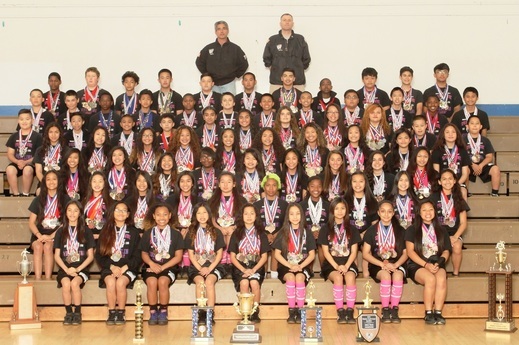 The Academy boys were sparked by gold medal winners Gerell Castro, Mark-Ryan Jimenez-Diolanto, Miguel Morales, Kobe Auzenne, Diego Barba, Marc De Guzman and Jonah Arnold. 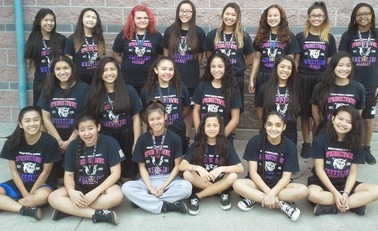 The Lady Wildcats swept the 13 weight classes on the female side as Esmeralda Morales, Lillian Parungao, Samantha Dollete, Yvonne Cruz, Devya Bharti, Chentelle Wise, Elisabeth Franco, Alexis Gomez, Tori WInston, Alexis Drum, Meriel Ferrer and Genesis Borja all struck Gold!!! Jonah Arnold, Mark Ryan Jimenez-Diolanto Diego Barba and CJ Fernandez competed at the Show Me Nationals in Missouri. Pacing the Academy to the 1st place trophy finish were gold medalists Mark Ryan Jimenez-Diolanto, Ahmed Mohamed, Adonis Batts, Kobe Auzenne, Michael Reagan, Diego Barba, Marc Deguzman, Kaitlin Cuevas, Yvonne Cruz, Chentelle Wise, Elisabeth Franco, Precious Bautista, Marcelina Valmonte, Therese Gatchalian, Tori Winston, Leslie Uribe, Jhon-Charlie' King and Genesis Borja. 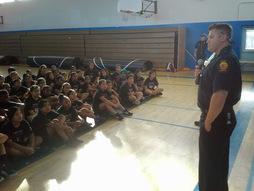 Vallejo Firefighters came to HMS-Bass Gymnasium to honor our program for inspiring others. Following the presentation, 80 or so Wildcats kicked off their season with our annual Intra-squad scrimmage. They All Finished The Event And Earned Medals!!! 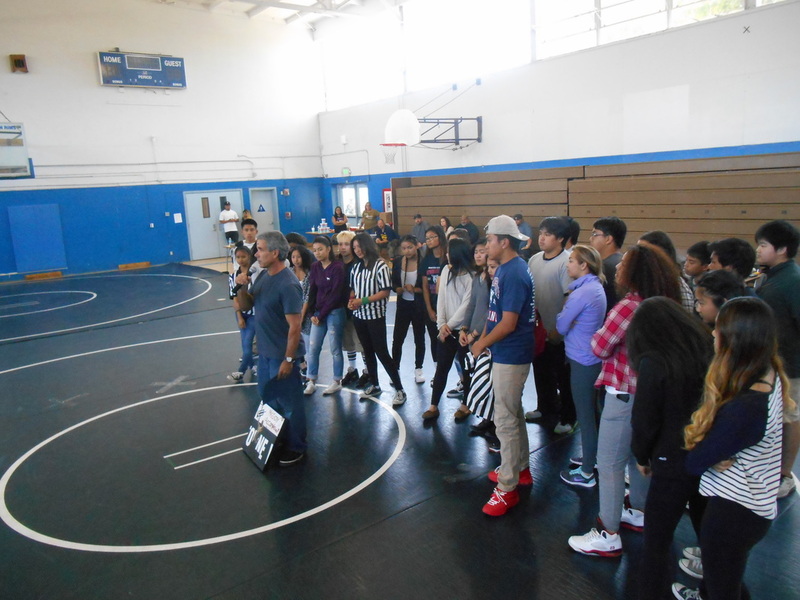 They educated 25 current academy wrestlers in all things wrestling and shared their experiences as Wildcat Alumni. 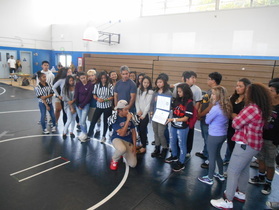 The event culminated with the Mini-Takedown tournament where Ashley Cajina, Carmille Lobusta, Arianna Perez, Tori Winston, Marc De Guzman, Mark Jimenez-Diolanto and Jacob Guiducci were crowned as middle school champions. 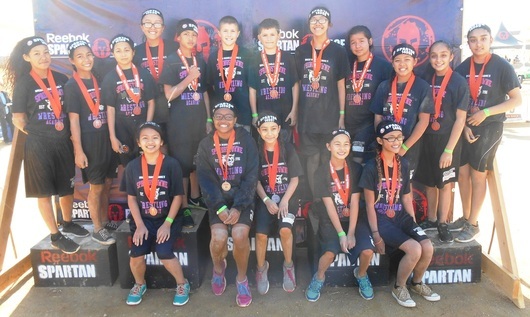 Medals were also distributed to elementary participants Heena Bharti, Maikah Jimenez-Diolanto, Makaio Jimenez-Diolanto, Yesenia Esquivel and Brandon Guiducci. 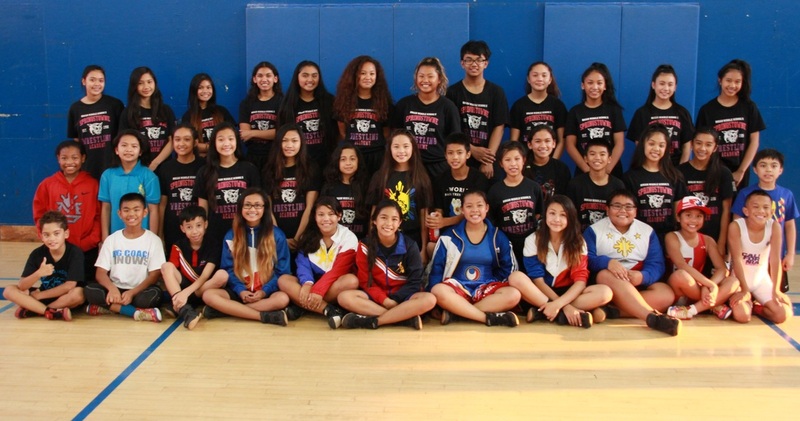 ﻿Thirty-Six Springstowne Wildcat Wrestlers competed at the 4th Annual Philippines Wrestling Showcase that also drew wrestlers locally from American Canyon and as far away as the the Silicon Valley. Top performances included Marc Deguzman, Samantha Dollete and Mililani Rose Jimenez-Diolanto who were both 2-0 on the afternoon. The evening portion saw some intense action and also included some Wildcat Wrestling alumni. 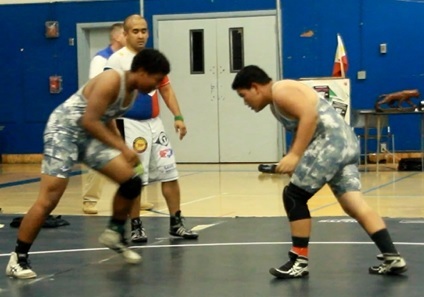 Co-Director Jeremiah "Mr. Showcase" Esguerra picked up a freestyle win on the night, while former teammates and Florida travel squad wrestlers D'Niko Green and Romiland Lobusta met. Green prevailed by a pin fall!!! 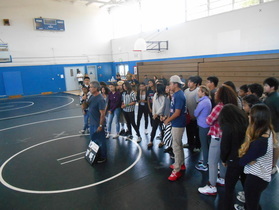 70 or so Academy Wrestling families were treated to the premiere of Comcast Sportsnet videographer Steven Uhalde's Feature on our program. Aside from the amazing array of international cuisine our 8th graders excitedly discovered that our Lady Wildcats will be traveling to Maryland and our Wildcat boys will be heading to Missouri for their respective tournaments!! !